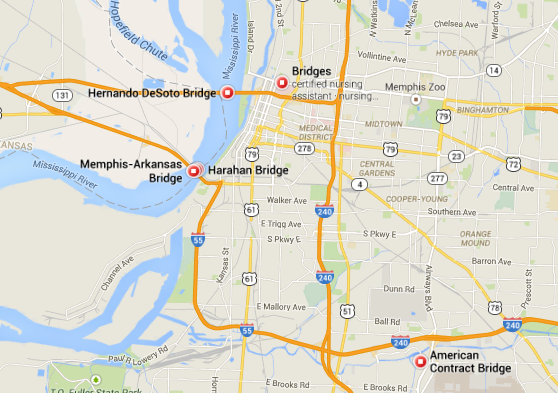 The FBI is investigating an anonymous threat that ISIS plans to blow up the Memphis-Arkansas Bridge over the Mississippi River sthis month, FOX13 News reports. The FBI sent a letter of warning to local law enforcement. 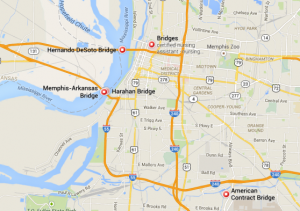 “According to an anonymous complainant, as of December 2014, ISIS instructed an ISIS member, a presumed USPER (U.S. person) in Memphis, with a direct order to blow up the Memphis-Arkansas bridge on an unknown date, activating ISIS terror cells in the United States,” the warning reads. The FBI said there’s no evidence yet that the threat is legitimate. “Although we received an anonymous threat, there is no actionable intelligence regarding an attack on the bridge. We take every threat seriously and whenever we receive a threat like this we take steps to inform all of our law enforcement partners,” Supervisory Special Agent Joel Siskovic, spokesman for the FBI Memphis Division, told FOX13 News. About 56,000 cars and trucks use the bridge daily. Posted: 12/23/14 at 12:02 PM under News Story.